A few photos of the Wine School to enjoy before you come to a class or event. The hall of fame at the Wine School. All the top wine sampled during classes. Getting ready for a food and wine pairing class. The first students arrive to a food and wine pairing class. 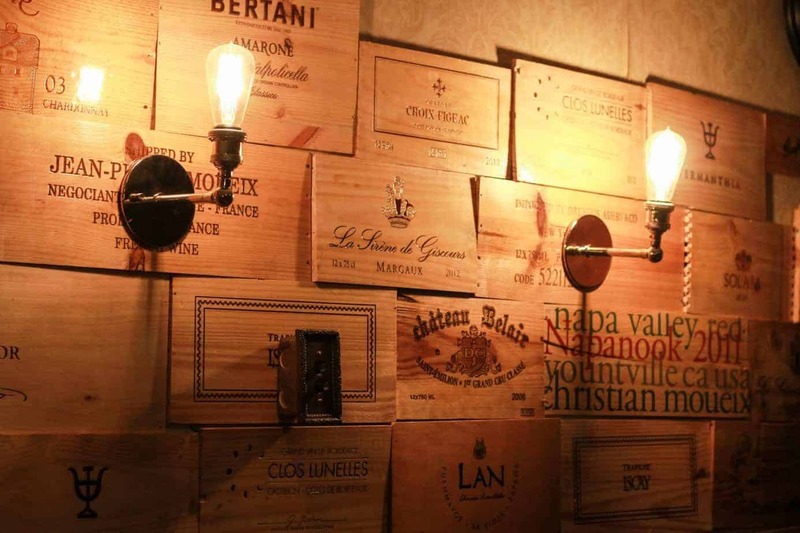 Several walls in the Wine School are covered in vintage wine boxes. Several examples of our locally distilled whiskeys and pot still brandies. A selection of wines from our favorite classes. The original chalkboard at the wine school, circa 2001. The alcove where all the wines for a current class are featured. An exposed brick wall and our famous cork gabion wall. Looking toward the front of the classroom. This shot shows the front of the classroom. The photos above are a selection of photographs of the Wine School of Philadelphia and the Philly Beer School. The school’s interior was designed by the school’s founder, Keith Wallace. For a behind-the-scenes photo essay on how he designed and built the school’s interior by hand, check this out: building the Wine School. Vino, Vino, Vinology! noun the scientific study of wines and winemaking; enology. 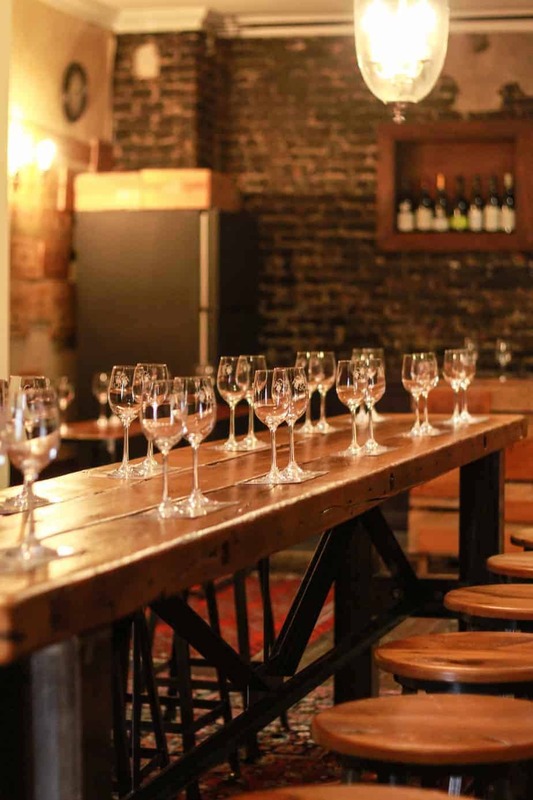 Vinology, aka the study of wine, comes in many guises at the Wine School of Philadelphia. The school offers programs on fermentation, viticulture, and vineyard management classes for the enthusiast. The school also offers sommelier certification via the National Wine School in California. 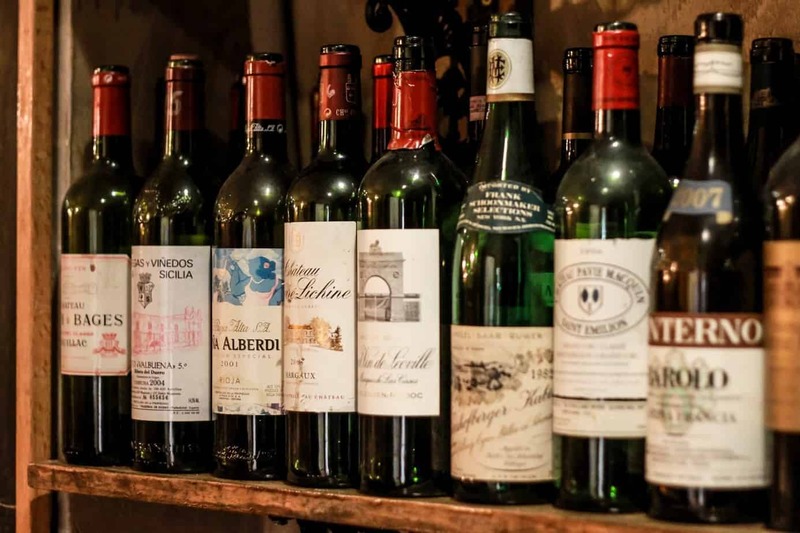 The school also offers a fantastic array of one-night classes for every type of wine lover. From our famous Wine 101 to the Sommelier Smackdown to Whiskey tastings to Napa Cab events. The school is rightfully famous for these classes. Taught by the top sommelier-instructors in the country, they are fun and informative. In fact, dozens of wine schools around the country try to mimic what the Wine School does. Some of these wine classes are good, occasionally even fantastic. However, it takes a lot of work and money to counterfeit the original. As good as their classes are, they are still only half as good for twice the amount of money. It’s nice having the original Wine School right here in Philly! The school also offers private events for groups. The school can host groups as small as 5 people to as large as 30. These events are tailored for each client. The school has hosted discrete events for professional athletes and luxury tastings for Fortune 500 companies. We also have hosted 50th birthday parties and small family affairs. As long as you love wine, you are welcome here.